100 Year Old Weblog: HELPING HAND PLANS BATH FOR NORTH END. ~ Public Showers From Fire Plug Will Be Suspended Over Gutter -- Is Superintendent Brigham's Idea. HELPING HAND PLANS BATH FOR NORTH END. 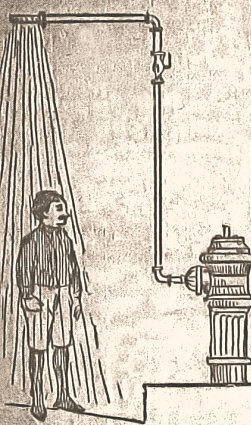 ~ Public Showers From Fire Plug Will Be Suspended Over Gutter -- Is Superintendent Brigham's Idea.